Koshiba Kiri uses her hairstyling talents to help brighten up the lives of girls, but she does so anonymously. On the other hand, the Scissors Project (also known as the SP), a group of three boys at school, gives grand makeovers to already-beautiful handpicked girls. Narumi Shōgo, the head of the group and a hairstyling genius in his own right, finds himself butting heads with Kiri. To make matters worse, Ochiai, another member of SP, plots to expose Kiri’s talents. As much as Kiri tries to shy away from the spotlight, she finds herself drawn into the world of hairstyling. I’ve read Beauty Pop several years ago but then stopped because I didn’t find the continuation again. But lately, I’ve found it again and luckily the story is completed! The first time I read this manga is kind of accidentally. My sister bought it and then I read it. I didn’t even regret it even a moment. Beauty Pop has a very interesting and funny story. I like the relationship between Kiri and Narumi. They are both funny and talented. The way they treated each other is actually very cute. I never read a manga about hairstyling before, so this manga is pretty interesting to me. Not to mention the story is really good. I like it when Kiri called Narumi with different kind of nicknames, like Naru-Naru, Na-kun, or something like that. The drawing of Beauty Pop is very excellent, therefore I really enjoy reading it. 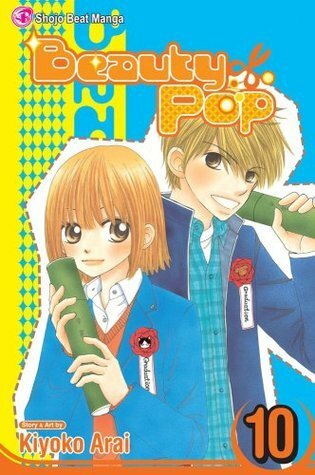 I think everyone enjoys a manga that has good drawings, but of course, the story must support it as well and Beauty Pop is definitely had both qualities. Not to mention the author also drew many funny and cute expressions from the characters. Their expressions have succeedingly made me smile and laugh even more! Every character is funny in their own way and can definitely make you smile. However, Kiri and Narumi have definitely had the best expressions of them all. Somehow when they interact which other, they are just so cute. Kiri’s lazy expression is the best. Even when she’s serious she looks good. I think the excellent drawings really helps a lot in that. 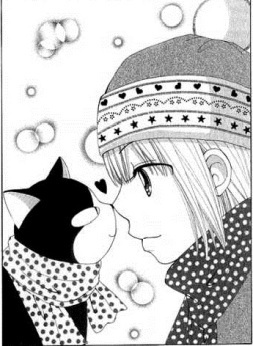 I also love how cute Kiri’s cat too. His name is Shampoo. He is clever, loyal, and most important, very very cute. Yes, his name really is Shampoo and he loves to eat and sleep! I love the small details of drawings whenever there’s Shampoo. The author really puts attention to that kind of details and that’s why I really love it. I also love the way Shampoo expressed himself. So it’s not just the human characters that have funny expressions, even the cat also has cute expressions. I love the ending, though I wish there’s a side story of Kiri’s love life. I think it’ll be an interesting story. But I am satisfied with the ending. After all these years, Beauty Pop doesn’t disappoint me at all. The story is funny, interesting, and kind of cute. The drawing is excellent and therefore increased my reading mood. I give Beauty Pop 4 out of 5 stars by me. I really love this manga.